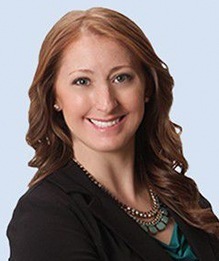 Ms. Nicole Rose Cormier has been with The Registry since 2013, and serves as the Director of Client Support. Ms. Cormier is involved in all aspects of marketing and sales; she is the primary liaison between principals, members, and college and university clients. Ms. Cormier’s chief responsibilities are to facilitate all pending interim opportunities; to manage the logistics involved in interim placements; and is a key participant in a wide array of marketing and business development projects crucial to the success of The Registry. In 2010, Ms. Cormier received a Bachelor of Science in Business Administration from Colby-Sawyer College (New London, New Hampshire). Ms. Cormier’s prior administrative experience involved property and financial management for Hills-Mor Construction Company and Norfolk Park as well as real estate and facilities management at Oracle America. As an undergraduate, she held several Student Government Association positions: Treasurer, Chair of Clubs and Organizations, Chair of Allocations Committee, Member of Media Committee. Ms. Cormier was a student athlete as well, and played rugby while she was in college.